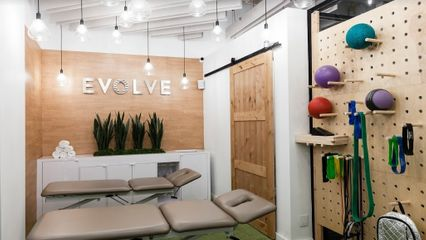 There’s physical therapy, there’s training, and then there’s EVOLVE. We use the science of biomechanics merged with fitness to help our patients get better and stay better! Eric graduated from Touro College with a Doctorate in Physical Therapy at the top of his class in 2017. Although he is relatively new to the profession, Eric has spent a lifetime in the world of athletics and exercise. He uses those experiences to provide top notch therapy and care to his patients. He is currently pursuing his certification in manual therapy through Maitland-Australian Physical Therapy, largely considered to be the cornerstone of modern day orthopedic manual therapy. Eric’s approach to care is focused on patient values and the patients’ needs above all else. Eric is passionate about his own training, and has extensive knowledge in Olympic lifting, strength and conditioning, and Pilates-based exercises. His knowledge allows him to build programs for people of all functional levels, injury types, and those looking to improve their athletic performance. A native of Northern New Jersey, Eric found his love of board and extreme sports early and can still be found snowboarding just about every chance he gets. He enjoys staying active, exercising, and he never misses a Yankees game.